Schlock-Wire: Scream Factory Takes Horror Back To Childhood With THE BOY (2015) On Blu-Ray In March – Schlockmania! From Elijah Wood’s SpectreVision and Chiller Films comes a disturbing new vision exploring the birth of evil. 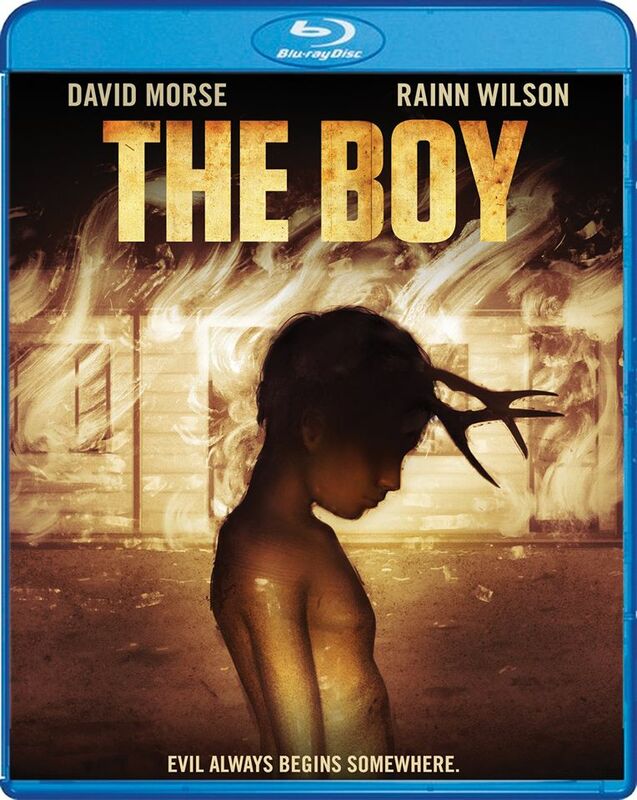 On March 1st, Chiller Film’s enigmatic psychological thriller The Boy makes its Blu-ray and DVD debut courtesy of Scream Factory. Starring Jared Breeze, Rainn Wilson (Cooties, The Office) and David Morse, the release also includes a behind the scenes featurette as a bonus feature. Fans of this creepily suspenseful film can pre-order their copies now by visiting ShoutFactory.com. Synopsis: In the summer of 1989, nine-year-old Ted Henley (Jared Breeze, Cooties) and his father John (David Morse, True Detective, World War Z) are the proprietors of the Mt. Vista Motel, a crumbling resort buried in the mountains of the American West. Since Ted’s mother left, John has drifted into despondency – leaving Ted to fend for himself. In this isolation, unchecked by the bounds of parenting, Ted’s darker impulses begin to manifest. The arrival of a mysterious drifter, William Colby (Rainn Wilson, Cooties, The Office), captivates young Ted and the two form a unique friendship – setting the stage for Ted’s final, unnerving metamorphosis.